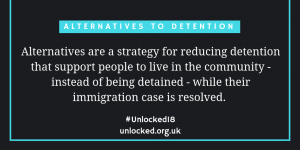 To help navigate the world of immigration detention, we’ve created a visual glossary with key terms and acronyms you might come across during Unlocking Detention. Let’s start at the beginning. What is an Immigration Removal Centre? There are 8 immigration removal or detention centres across the UK where people can be locked up indefinitely, plus a number of other ‘short term holding facilities’ where people can be held for less time. You can find a list here. 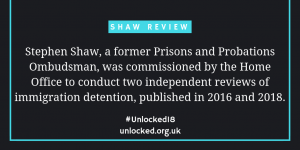 People can also be detained under immigration powers in prisons. 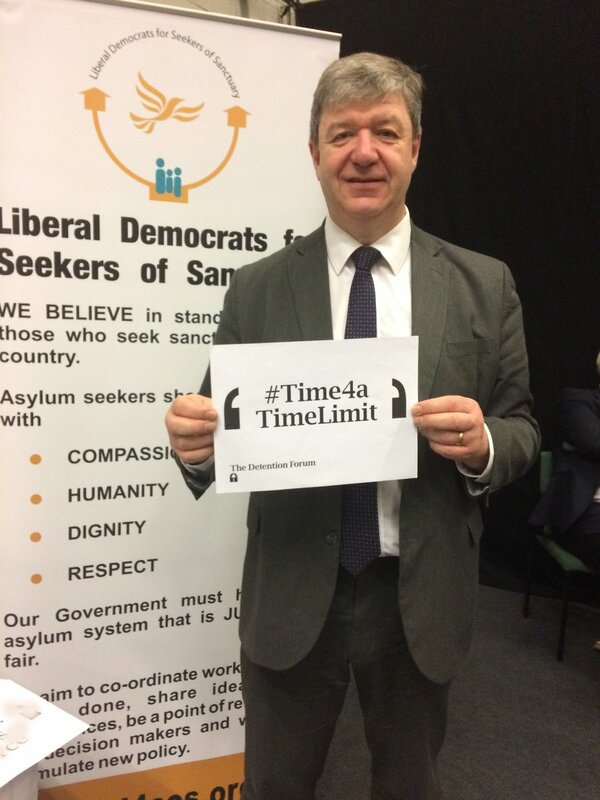 I’ve heard the term ‘indefinite detention’ before – what does that mean? 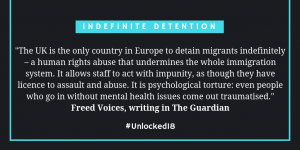 How long can people be detained for? 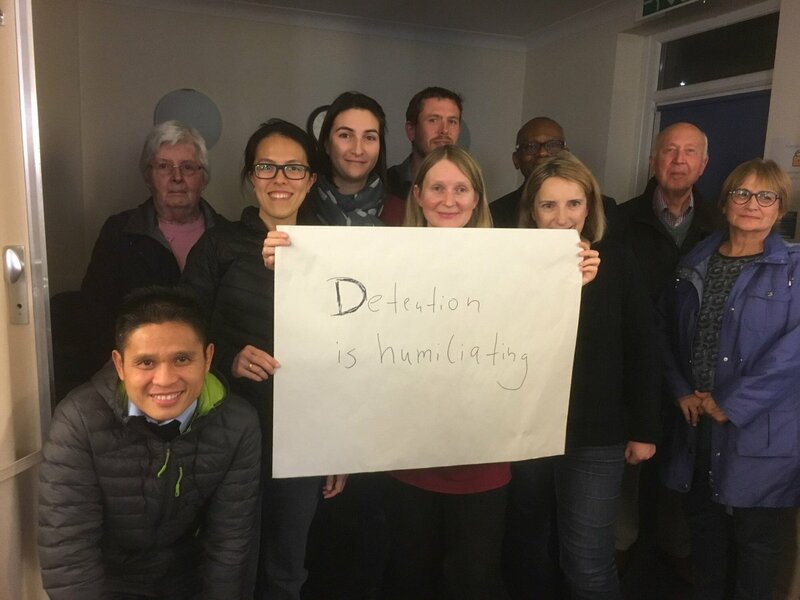 Along with many other organisations, experts-by-experience, parliamentarians and others, the Detention Forum is calling for an end to indefinite detention. 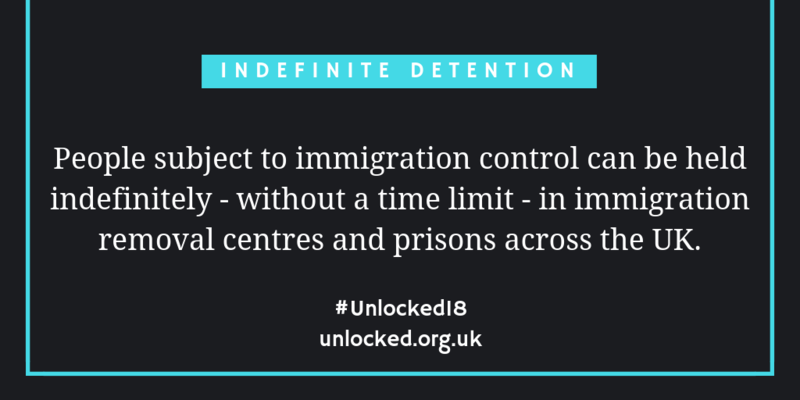 You can read more about why we are asking for a 28 day time limit on immigration detention here. Hang on, what’s an ‘expert-by-experience’? 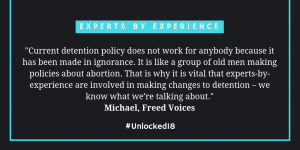 To learn more about experts-by-experience and see them in action, take a look at the Freed Voices, a group whose members have lost over 20 years in immigration detention in the UK. 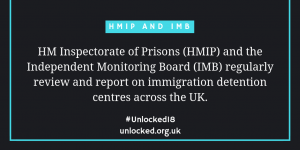 Who else is keeping an eye on immigration detention in the UK? Where can I find out more? 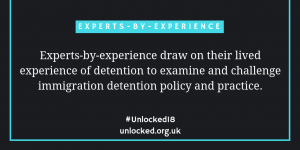 These are just some of the experts and organisations keeping an eye on immigration detention policy and practice in the UK. You can find out more about them, and see some of the reports they have published, here. 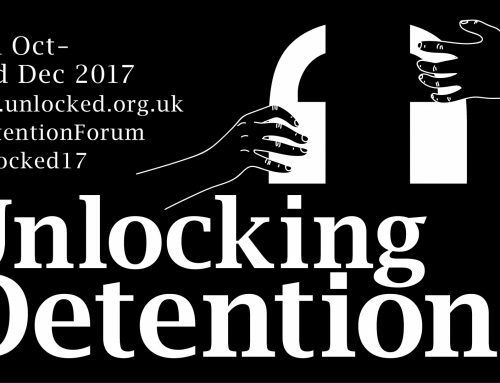 I can see that the Detention Forum is calling for certain changes to be made, including a 28 day time limit on detention. But what does ‘judicial oversight’ mean? 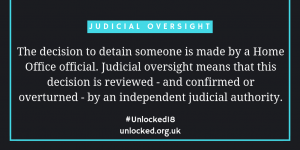 You can read more about our call for automatic judicial oversight (and other changes that the Detention Forum would like to see) here. 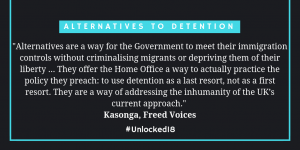 And what is an ‘alternative to detention’? 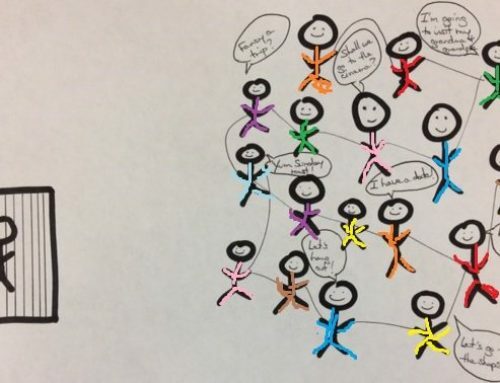 Alternatives to detention can be difficult to understand at first glance. Read our FAQ for more information. If you would like to share these images yourself, you can download them here.